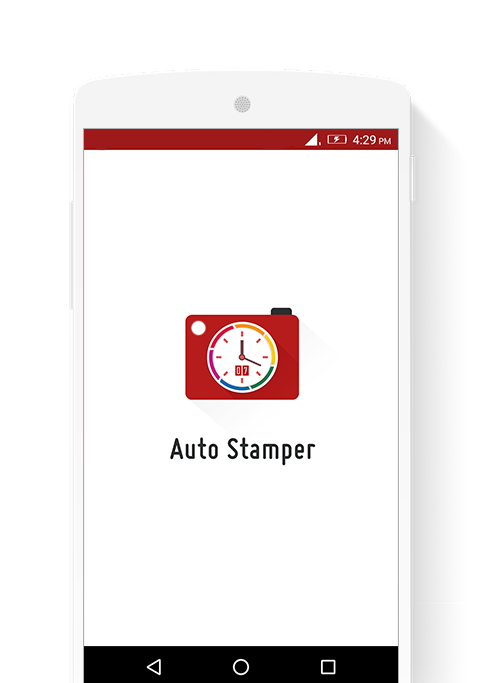 Auto Stamper features elegant layout to make your work more easy and your pictures more unique. Auto Stamper is the #1 Rated and Downloaded Application in Google Play Store for Stamping Images. Upto now, we have successfully stamped more than 100 Million Images and the numbers are increasing heaps and bounds day in day out. 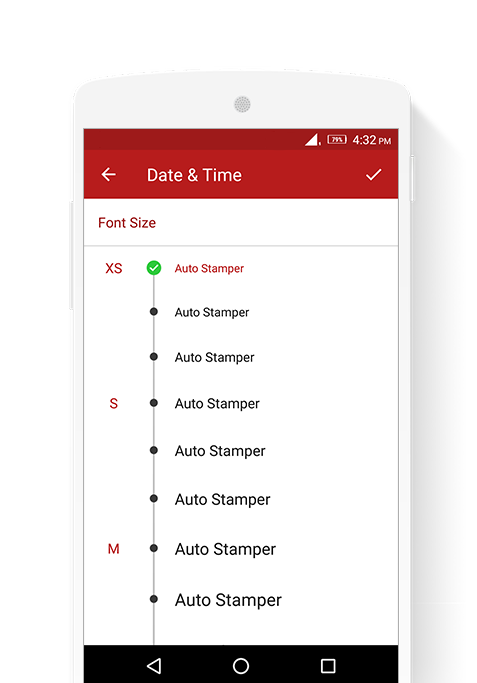 Date and Time Stamp is one which is wished by people many a times and is also called as the Universal Stamp. As you can see there are so many wide range of options available like Format, Size, etc. that you can adjust as per your requirements. Here, all the exhilarating available stamps that are part of the application which can be used to mark the images beautifully can be setup. 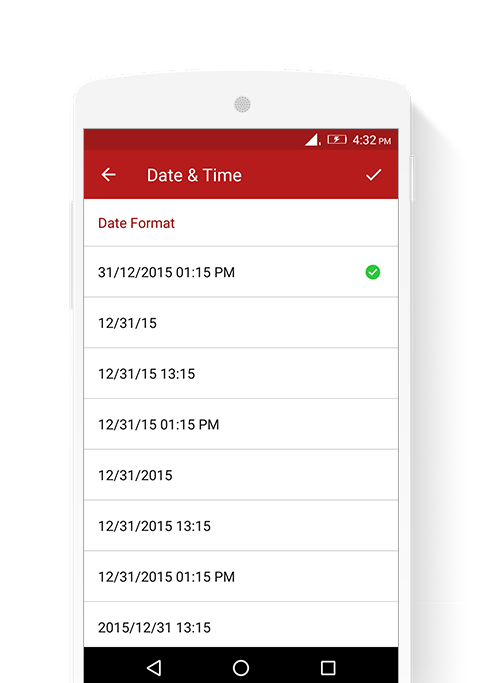 As you can see the layout of the application is elegant which makes it easy for the user to use. 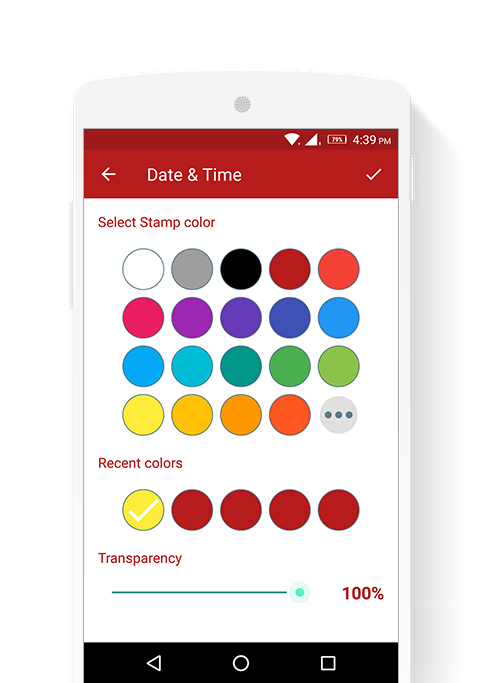 There is a long list of choices available for Date and Time Stamp Format through which you can make your Image look more appropriate especially while viewing them after a couple of years. GPS stamp can be watermarked in a variety of formats as per your selection. Custom selection can be made from Location Text, Latitude Longitude or Manual Selection from Area, State, City and Country. 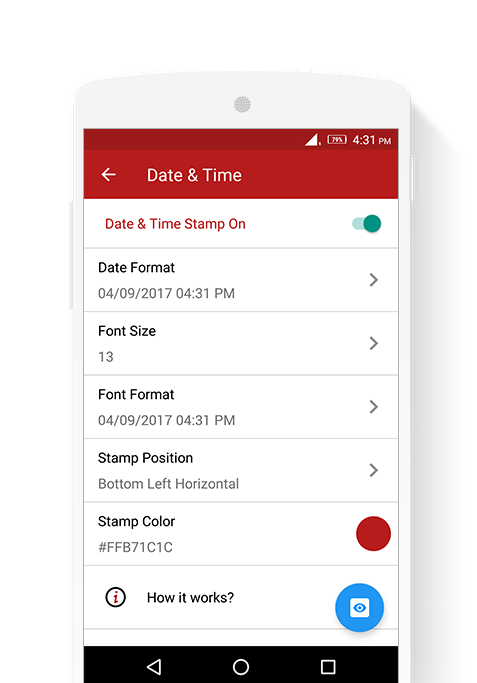 Stamp Format also gives you option of font size ranging from 1 to 30 that can be adjusted as per image look, feel and background. This will make your stamp as well as image looks stunning. 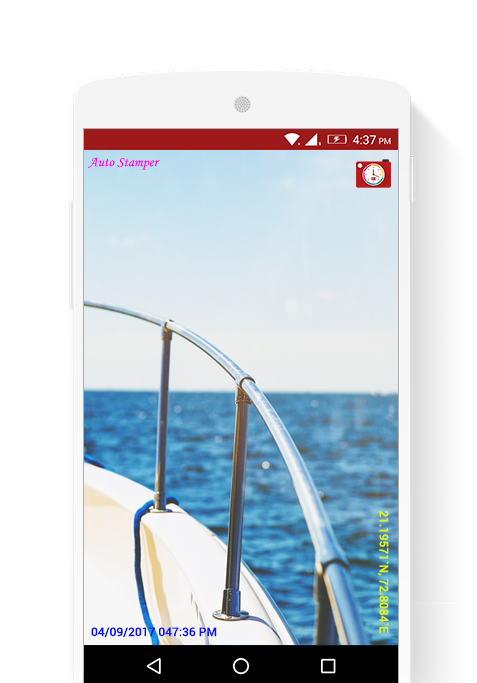 Application comes with color picker through which color preference can be set which will match image theme and make the image Glamorous along with stamp on it for rejoicing remembrance.